Hartford police are investigating a fatal shooting early Sunday morning. 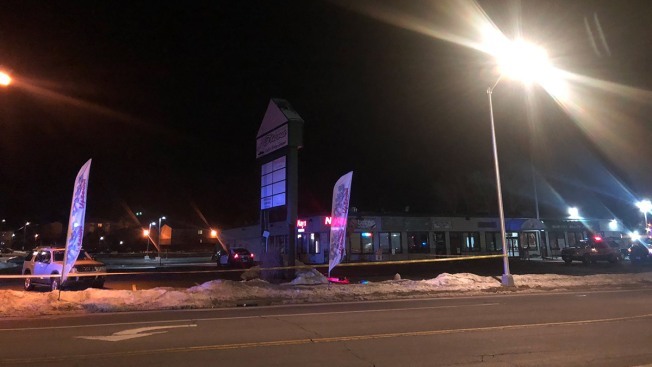 According to police, three people were shot outside of Vibz Uptown, 3155 Main St. around 1:45 a.m.
Police say 28-year-old Jakari Lewis, of Hartford, was shot and killed. A 29-year-old male and a 29-year-old female were also shot. The conditions of those victims are unknown at this time. Investigators say that a shot spotter activation alerted them to eight rounds of gunfire around 1:45 a.m.
At that time, the nightclub had just closed. Police say that dozens of patrons were in the parking lot at the time of the shooting. The Major Crimes Division is investigating.